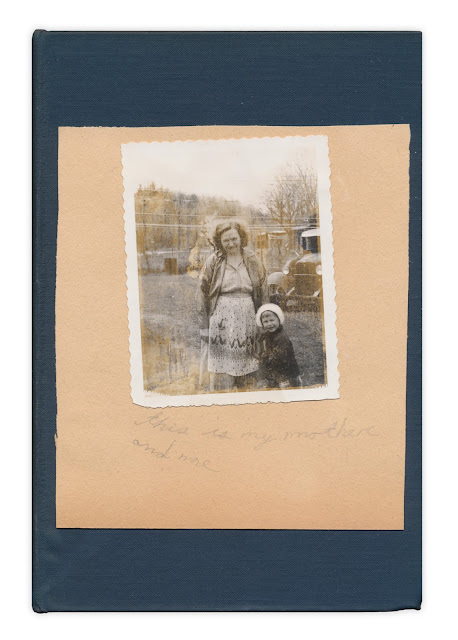 Photograph pasted on paper with the caption "This is my mother and me." Found in "More People" by Edgar Lee Masters. Published by Appleton Century, 1939.